American ‘taco-loco’ quest for authentic street food has brought taquarias and cantinas “across the border” so to speak, from Detroit Mexican town to several cities downriver. 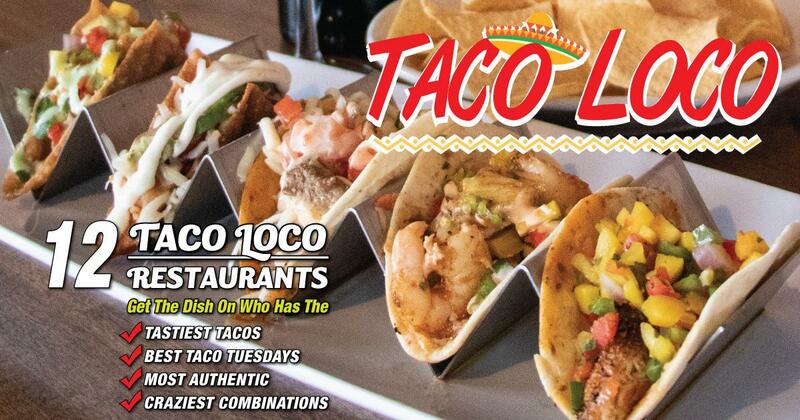 It’s prevalent that a taco craze has been taking over the community! Original street tacos consist of meats topped with cilantro, onion and lime placed on a flat tortilla shells. History tells us they were first prepared small enough to wrap and take for lunch, to eat quickly without utensils. Tacos progressed into street food when families prepared them for sale in the city for the working community. Today we find several types available, whether you prefer carna asada meats, seafood or Tex-Mex tacos, there is a location near you! Here are some (but not all) of note worthy tacos. I t is the last week for holiday shopping season. Time is running out for last-minute shoppers w ho are hoping packages will arrive on time. So it's time to take a different approach. The answer is shopping local. Downriver is packed with a variety of local shops. Local retailers are stress free shopping environments. You can walk into any one small business and will be greeted with a friendly smile. You can quickly be in and out. Staff often directs you to exactly what you are looking for on your shopping list. What's more amazing, if they aren't the shop to carry that particular item on your list - small businesses are quick to recommend other local retailers that would carry it. That's because the small business community is just that - a community. This is in stark contrast to the big box stores shopping scene that generates anxiety searching down endless aisle, stressed out employees, and long checkout lines. If you are that ultimate procrastinator - consider shopping local. Many local businesses are staying open late to accommodate the demand of last-minute holiday shoppers. You can find great local promotions inside our latest Online Magazine. 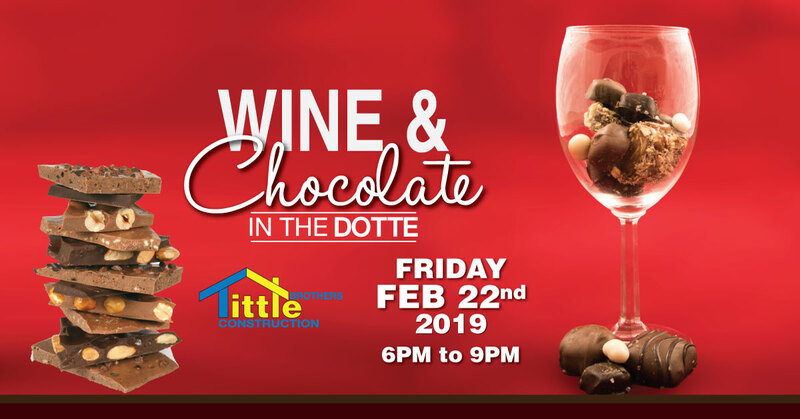 Coming to Downriver on February 22nd is the Annual Wine & Chocolate. Grab your friends and take a taste of what local restaurants and sweet shops have to offer. This strolling event is held indoors all under one roof inside the PRCU Banquet Hall in Wyandotte. Sip, sample and nibble your way to a great time with local favorites including Magdaleno's Italian Ristorante', Sanders Fine Chocolates, Smokies on the Water, Sweet Arrangements, Sweet Nothings, Wine Dotte Bistro, Sushi Bar, Total Health Foods, Jay Ray's BBQ & Catering and more to be confirmed soon. You can expect to be satisfied with tasty dinner foods, chocolate themed goodness and a variety of wines from Discount Drinks of Wyandotte. Fundraiser for the Bettie D. Gonzalez Foundation of Hope - A local Downriver non-profit organization that provides college scholarships for motherless girls in Michigan. 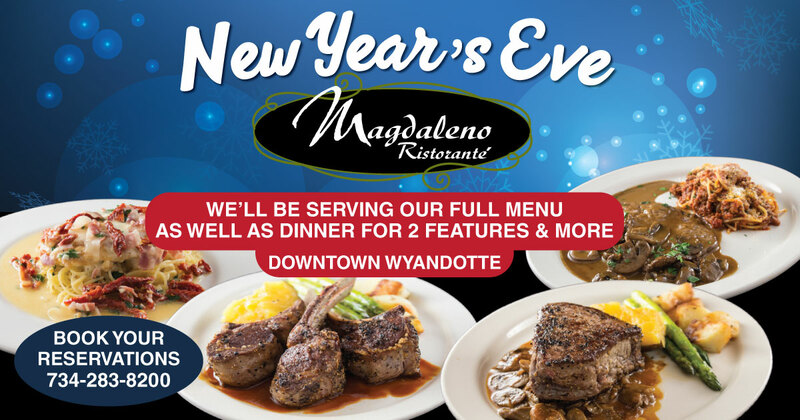 Magdaleno's is serving up delicious Dinner of 2 features for New Years Eve. Each dinner feature comes with appetizer, salad, entree and dessert. One of those features includes a 3 lb. 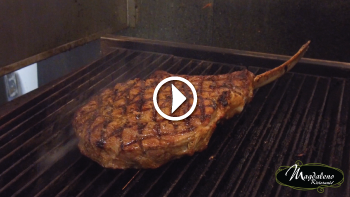 Tomahawk Ribeye to share! Check out their website for the dinner. Early dinner starts at 3:00 pm. Are you coming to Downtown Wyandotte tonight? Then be sure to visit Milkins Jewelers while you're out. Autumn is upon us and you are invited to Milkins Jewelers Annual Mariana Trunk Show! Friday October 12th, 4pm-8pm. Come enjoy complimentary wine and horderves while you shop. Autumn is time for gift shopping or some much needed retail therapy. Be kind to yourself, bring a friend and be pampered at this special event complimentary of In The Dotte Magazine. Recently moved to a new location. The business is still located in Downtown Wyandotte and has moved from Elm Street to 1st Street allowing them to double the size of presentation space. They are hosting a grand opening celebration in store beginning at 5pm. Visit and cheers to celebrate small business owners and community success. While you're there get 40% off chocolate during the celebration event. If you're looking for great places to eat local tonight, don't forget about these local favorites. 2 for $30. Includes an appetizer, 2 entrees with sides, Belgian waffle with ice cream and 2 beverages. SAVE THE DATE - DON'T HESITATE! Shop Small and share your support for your favorite local stops and shops. Whether arts or eats, home goods, clothing, or treats, you won't want to miss the local deals and savings! Come to on of the Welcome Stations in Wyandotte November 25th, 10AM - 2PM, to celebrate the annual Small Business Saturday® Shopping Celebration. 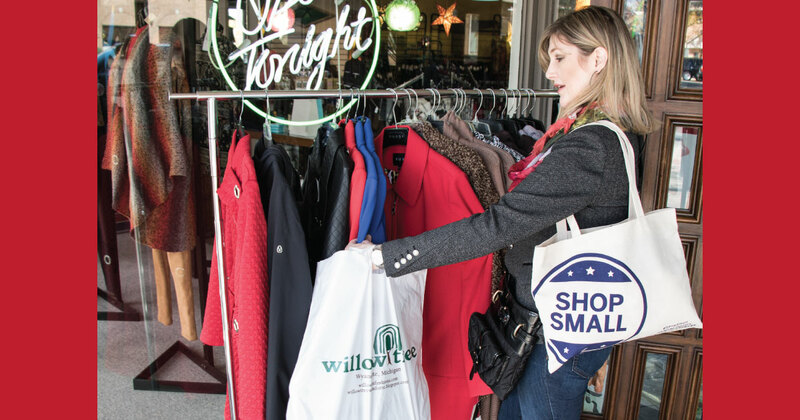 Start your Shop Small Adventure at a Welcome Station in Wyandotte where the team at In The Dotte are giving the first 200 visitors Small Business Saturday gift bags. Each gift bag is filled with a Shop & Dine magazine containing dozens of special Small Business Saturday coupons, and free giveaways. As a Special Gift - Each Gift Bag also contains a random Gift Card Giveaway donated by Wyandotte local businesses, thanking their customers for their continued support. FEBRUARY 23RD - WE CELEBRATE GREAT WINE, CHOCOLATE & FOOD IN THE DOTTE! Who doesn't like Wine & Chocolate? This Midtown Wyandotte event is the perfect Date Night. Upon arrival you'll receive a commemorative wine glass to stroll along and enjoy samples of fabulous wines, chocolate delights, and specialty foods prepared by local artisans that are sure to tantalize you and your friends with wide variety and the best creations for the ultimate tasting journey. In The Dotte Promotion - For Small Business Saturday Only! HAVE YOU TRIED HOUSE OF SHAWARMA? Mediterranean restaurant in Downtown Wyandotte. They offer a great selection of Lebanese & Middle Eastern food from traditional and authentic cooking.